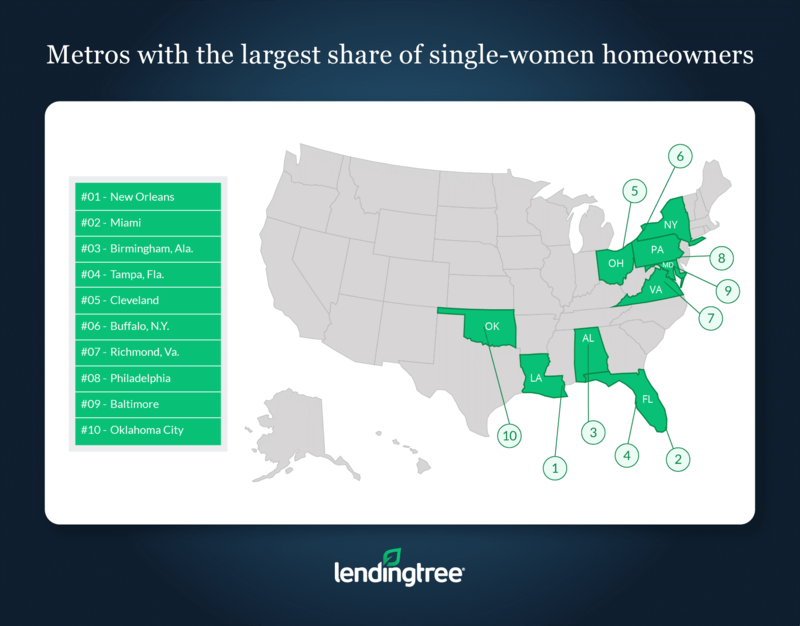 In much of the United States, single women are outpacing single men when it comes to homeownership. This trend may be somewhat surprising, given the average woman in the U.S. only makes 80% of what the average man does. Nonetheless, the data clearly indicates that single women are more likely to own a home than single men are. 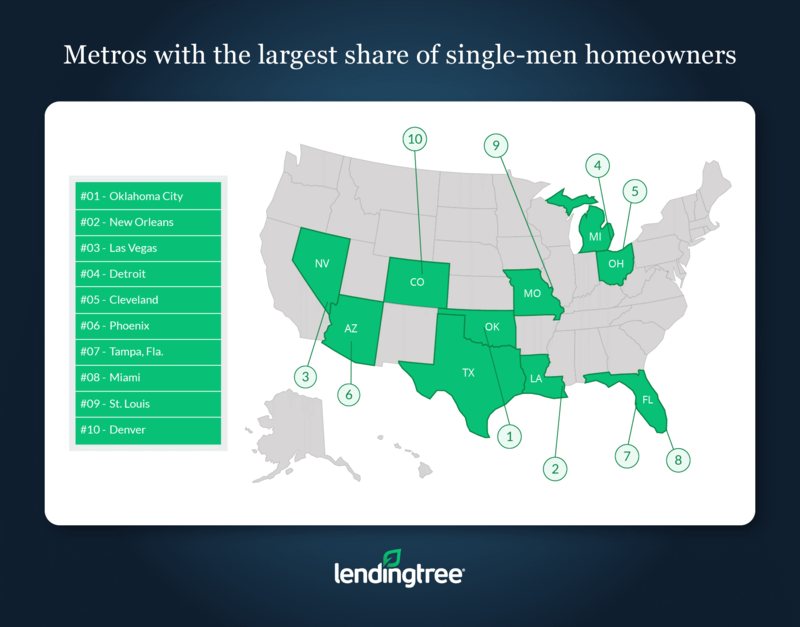 LendingTree used the U.S. Census Bureau’s 2017 American Community Survey with 1-Year Estimates to conduct this research. The survey looked at several different aspects of households in the United States. For the purposes of this report, LendingTree only focused on owner-occupied housing units. As the name implies, these homes are occupied by the people who own them, and not by people like renters. 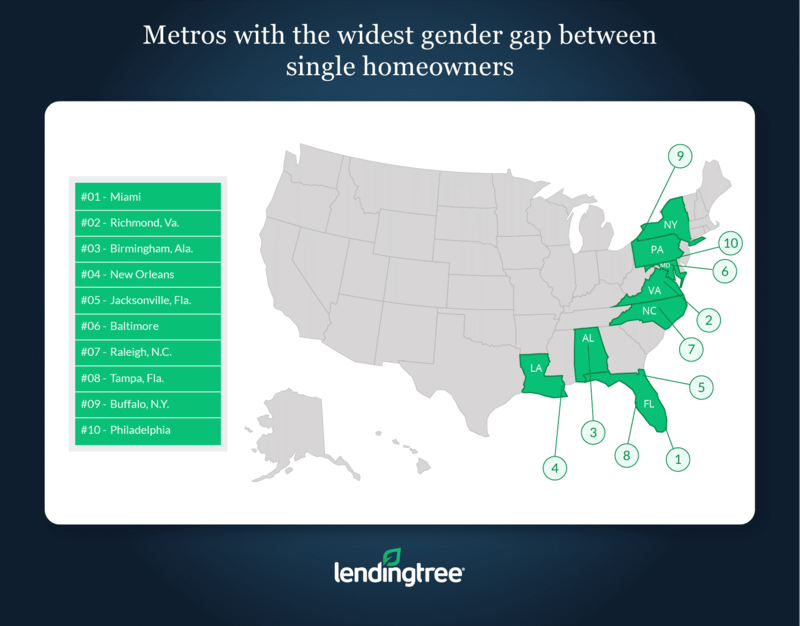 To determine the percentage of homeowners who were either single men or women in an area, we divided the number of homes occupied by either single male or female homeowners by the total number of owner-occupied homes in an area. It is important to note that these percentages do not add up to 100% because there are other types of homeowners in an area, like married couples. More data on U.S. households, as well as a breakdown of the ACS’s methodology can be found by using the United States Census Bureau’s American FactFinder.